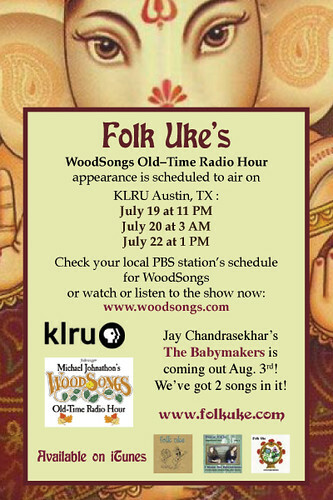 Amy Nelson and Kathie Guthrie, of Folk Uke, will appear on the WoodSongs Old-Time Radio hour next month. For more information: www.FolkUke.com . And you can download the music of Folk Uke from iTunes. This entry was posted on Monday, May 28th, 2012 at 6:03 pm and is filed under Amy Nelson, Folk Uke. You can follow any responses to this entry through the RSS 2.0 feed. You can leave a response, or trackback from your own site.